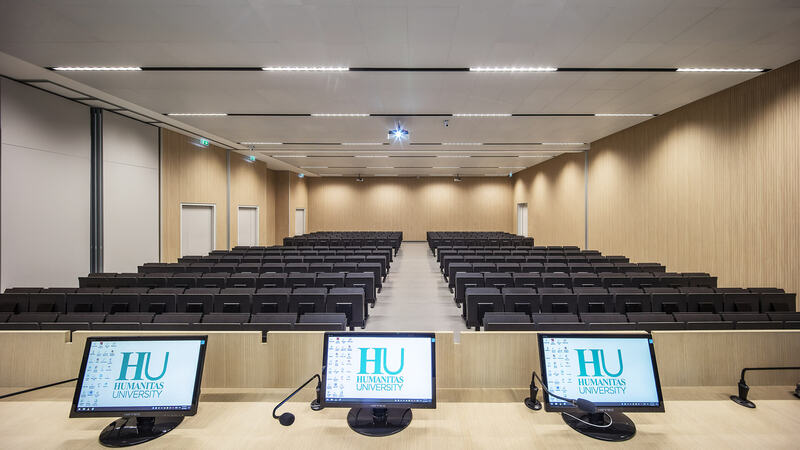 Humanitas University of Life Sciences is closely linked to the IRCCS Humanitas Research and Teaching Hospital in Rozzano. The main feature of Humanitas University, where medicine courses are fully taught in English, is the international vocation. The visiting faculty includes Nobel Prizes for Medicine and internationally renowned researchers. In addition to the International Medicine course, a Nursing course, also at Bergamo campus, and a Physiotherapy course are available. 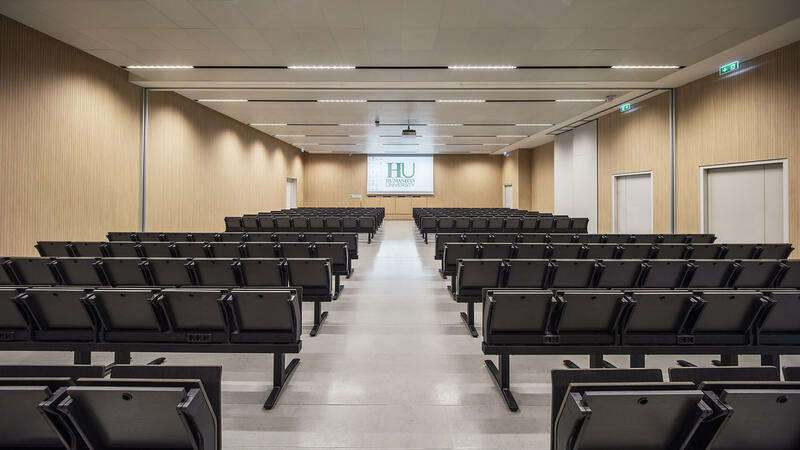 Lessons take place in the new campus, designed according to the most modern standards of technology and comfort in order to promote opportunities for meetings and exchange among professors, researchers and young students from all over the world. Nowadays, four buildings in an area of 25,000 square metres compose the new complex. The campus flagship is the Simulation Lab, which includes the Mario Luzzatto Simulation Center and the Anatomy Lab: a highly- technological space of over 2.000 m², one of the largest in Europe, for students, future doctors and healthcare professionals, who can study and train according to different degrees of specialisation and complexity. LAMM’s involvement in this prestigious project entailed fulfilling the functional requirements and the need for flexibility central to the contract deliverables. By examining the various types of classroom and their locations, it adapted the equipment requirements to the various teaching methodologies and needs, such as face-to-face lectures, group workshops, practicals etc., as well as to the variations in timetable uses required by University courses throughout the academic year in addition to the requirements of Master classes and workshops in the summer. 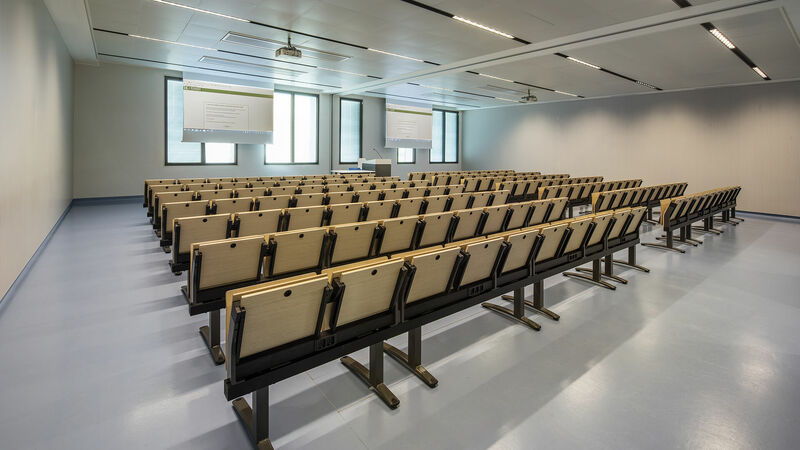 For the Teaching building and Main Lecture Hall, LAMM installed respectively, 600 and 228 E4000 study-benches (Designers: Lucci and Orlandini); free-standing furniture allowing for quick and easy re-organisation of spaces, and for any type of equipment use. The E4000 system is the fruit of research into simplifying and rationalising. 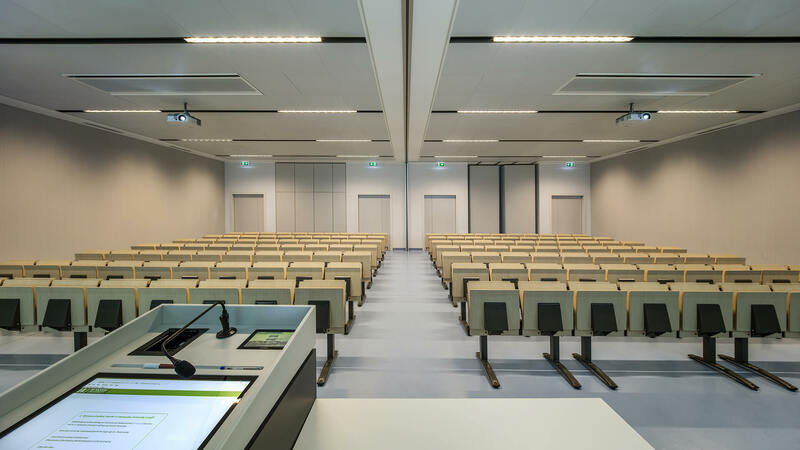 All the components are practical, hard-wearing and strong, integrating technological and multi-media features, including fine electric ducting underneath the writing tables. 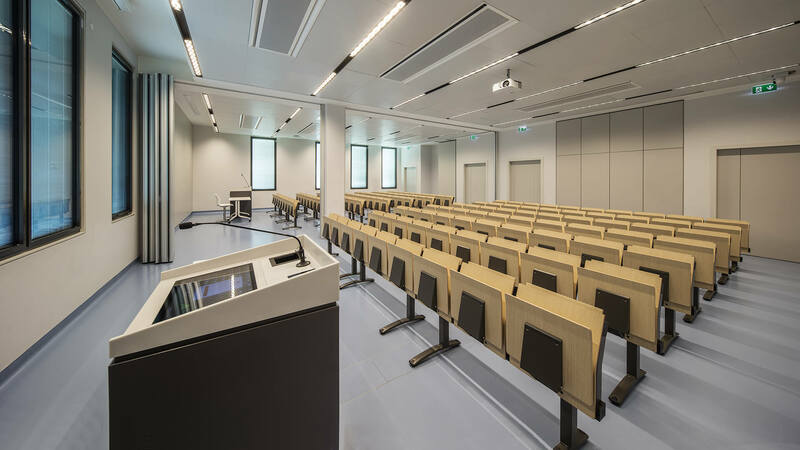 The 600 study-benches were supplied with tip-up table tops and were installed in straight and flat rows. 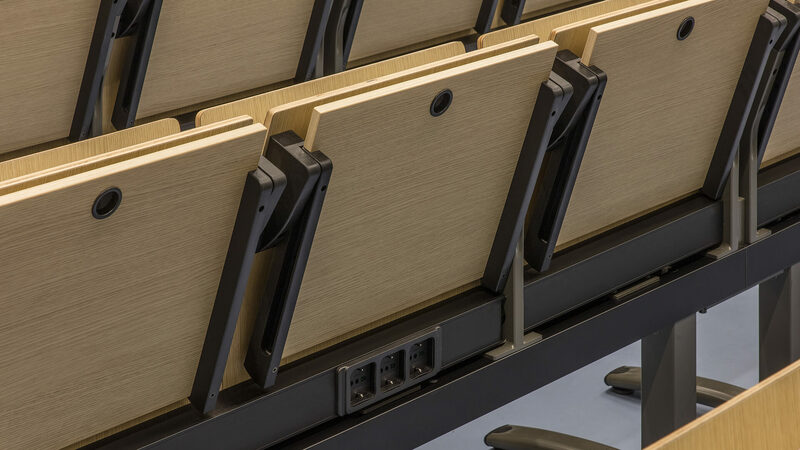 In line with client requirements, writing tables were much deeper and the benches were fitted with “anti-tilt” feet to become free-standing, thereby avoiding drilling into the floor. Finishings were also customised. Metal parts were painted dark grey, whilst the seats, backrests and table tops finishes were Rovere Texas laminates by Abet Laminati. 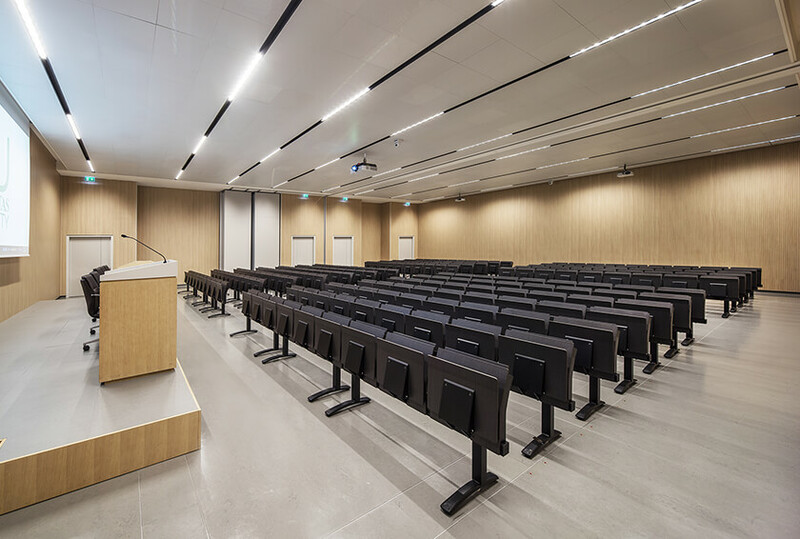 The remaining 228 seats in the Main Lecture Hall were of the same technical specifications, except for black metal parts, whilst the seats, backrests and table tops laminate finishes were in Rovere America wood, again by ABET.